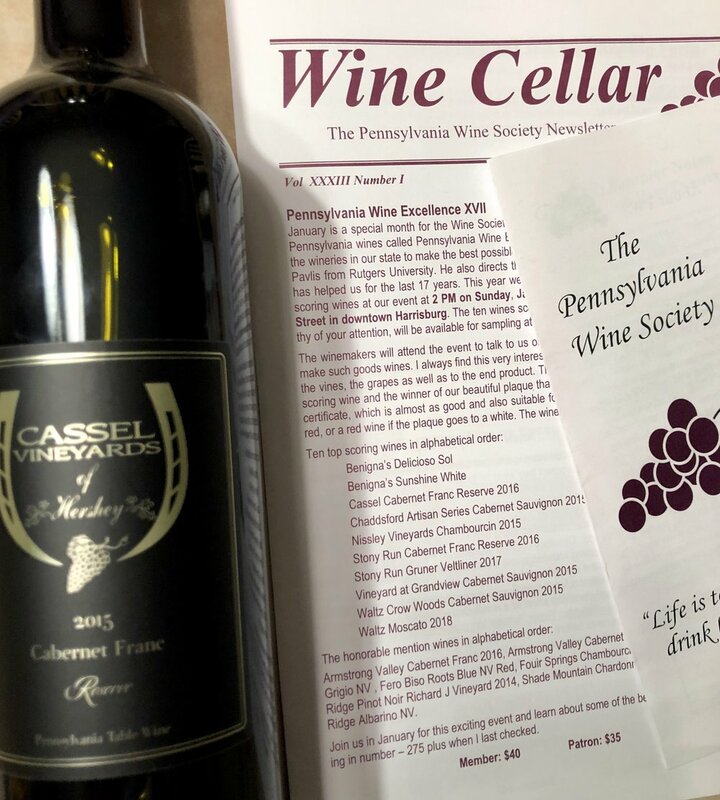 In case you didn’t hear our latest, exciting news, our Cab Franc Reserve 2015 was selected by the PA Wine Society from 90 entries as one of the 5 best Red wines produced in the State of PA! We are so ecstatic. We will find out this Sunday, Jan. 22 at 2:00 if we are selected as #1. In our opinion, it doesn’t matter if we win the silver cup, we are just thrilled to be considered as finalists! Other exciting news this year, is that we will be releasing a 2015 Chambourcin and 2015 Winner’s Circle Blend Reserve and they are equal in quality to this years Cab Franc. Stop out and give our Reserve Collection a try this Spring. If you can’t wait that long, you can find it on our casselvineyards.com wine store. Exciting stuff!